This is the second part of Jean Paul Deshong’s trilogy Sons of Fate, if you missed the first part you can find it here. Like his previous novel, this one is also separated into chapters and I will review this novel in a similar fashion. 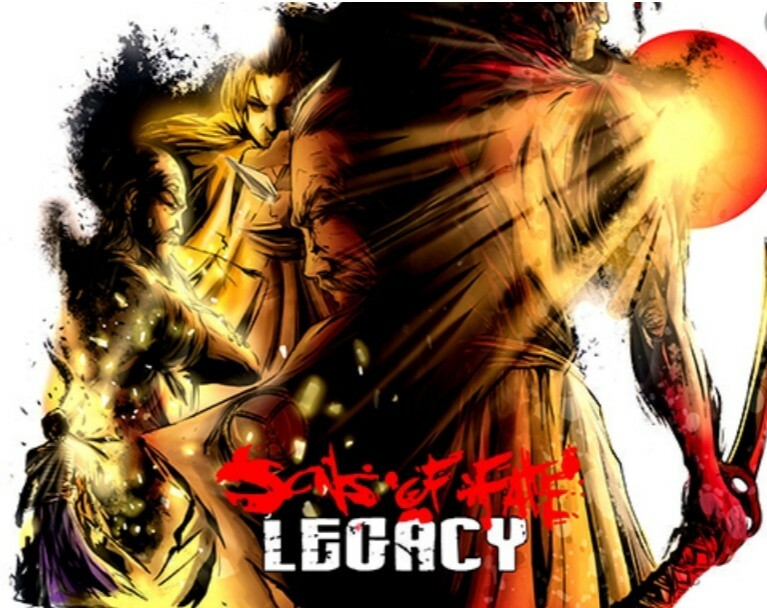 Without further ado, this is Sons of Fate: Legacy. The first chapter, The New Sun Rises opens up with a recap of the previous novel. 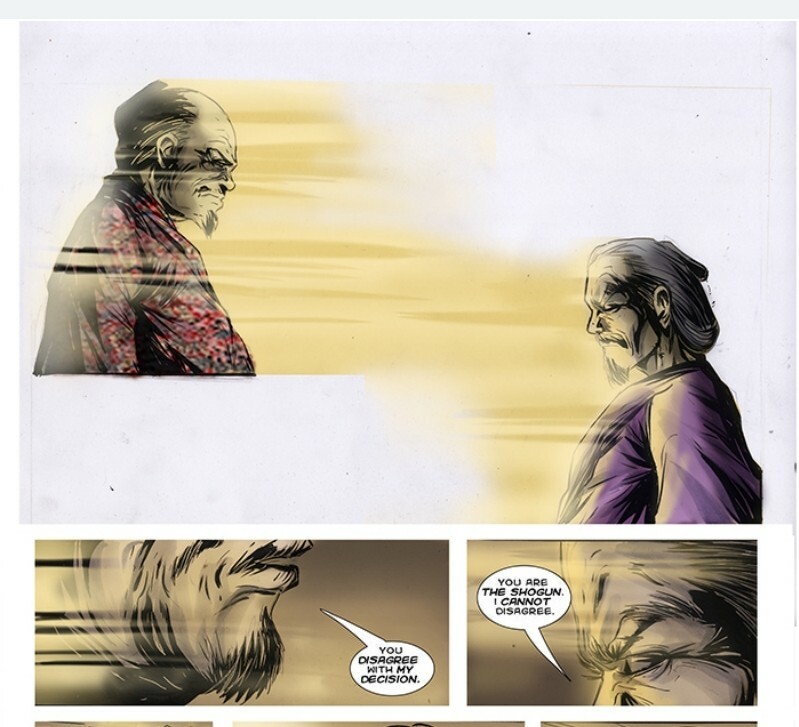 The Black Samurai, Kamau, continues on his unwanted journey to Japan as the story shifts to Omo as he is summoned by the Shogun. 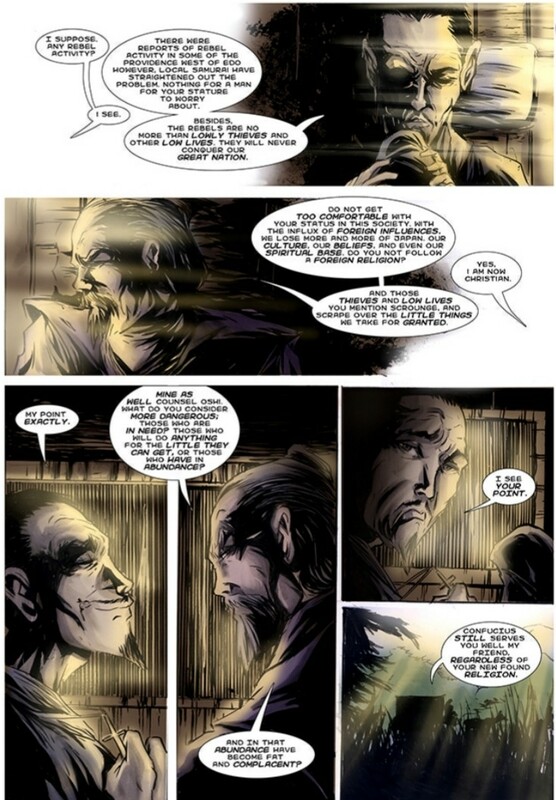 During this journey, Omo has a philosophical discussion with another Lord as regarding Confucius and the blending of cultures that is encroaching on the Samurai lifestyle. This particular exchange foreshadows the inevitable path of history by warning against keeping focus on the right enemy. During the meeting with the Shogun, we are introduced to Naval Commander William Smithblake who represents the British Crown as they try to establish trade routes with Japan. Omo shows himself as the more cautious and worthy of the Shogun’s trust, by openly questioning Smithblake’s true intentions in the island. Despite repeated attempts at prying the truth from Smithblake, Omo is unable to get a full understanding of what trade the former is involved in. The audience, however, understands that this trade is slavery. In this first chapter, the artwork continues to show itself as one of the best things in this novel, followed closely by the story. The pace set is drastically different from their first installment, this time it takes its time setting all the characters and giving you excellent background on them. While the colors retain the watercolor-like appearance of the first book, this one does a great job at showing the artistic maturity necessary for the subject matter. The small grammatical errors continue to plague this chapter, however they were few and far in between. 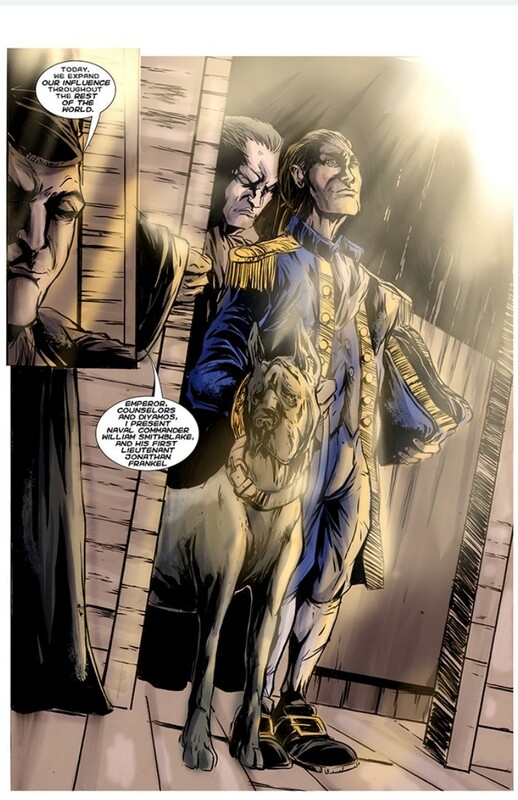 The cliff hanging ending on this chapter picks up the emotional investment left from the last chapter in the first novel with an exceptional effect captured in its entirety in the following panel. The second chapter, Heirs of the House Jinjaku continues the narrative as the two cultures clash in various forms. In one version of this culture clash, we see as trade routes are being opened between kingdoms, while at the same time we see as Omo and Kamau finally meet. 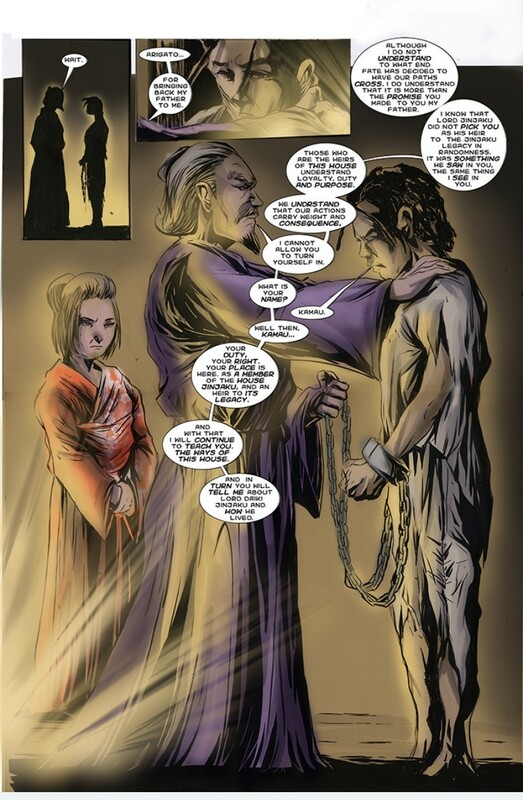 As the true meaning of the trade becomes exposed, Omo is seen uncharacteristically distracted as he rejoins the Shogun for another day of talks with their guests. Further culture clashes continue as the foreigners demand their merchandise be returned to them, which insults the Samurai. There are more cultural clashes as the Samurai do not see slavery in they same was as the foreigners see it. Traditions are tested as time rapidly invades Japan, and new tension is introduced as old friends face each other with distinct views regarding open commerce with the foreigners. 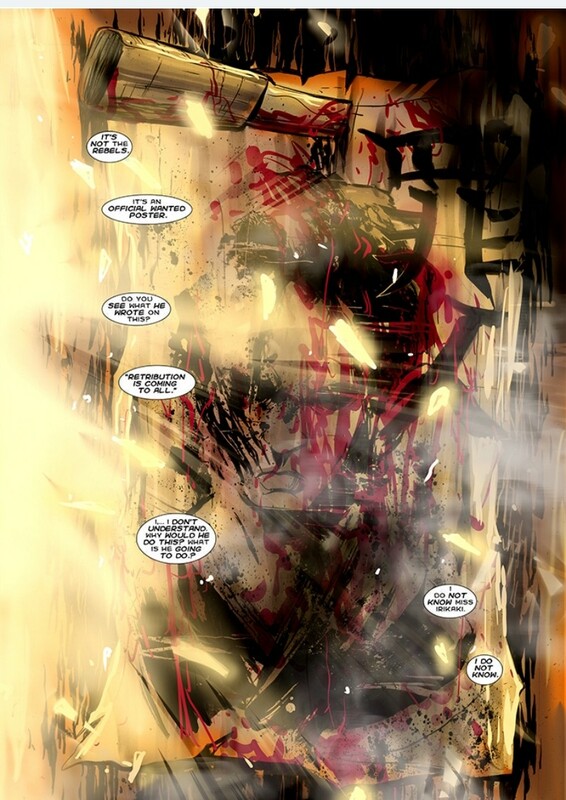 This chapter once again carries the great artwork, with the exception of the last panel. 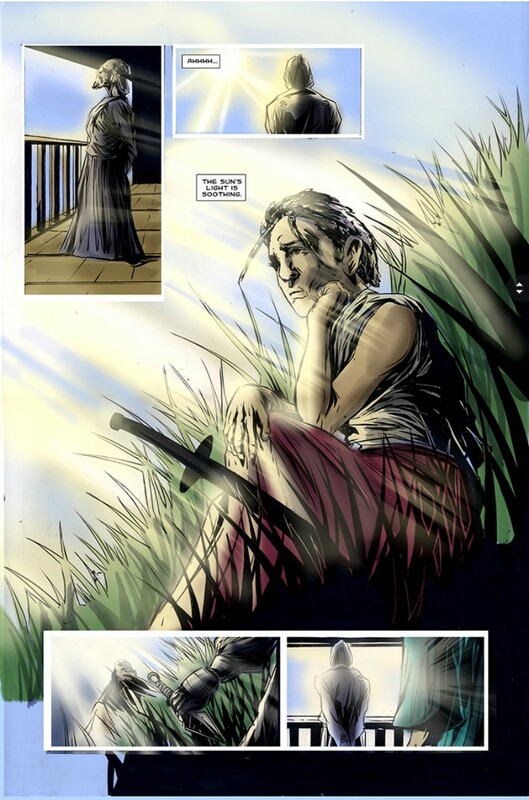 While the colors and the details have remained constant throughout the book, this last panel shows a distinct deviation. This reveals more care being placed in reaching the climax of the story rather than lack of attention to detail, however this chapter does suffer for it. 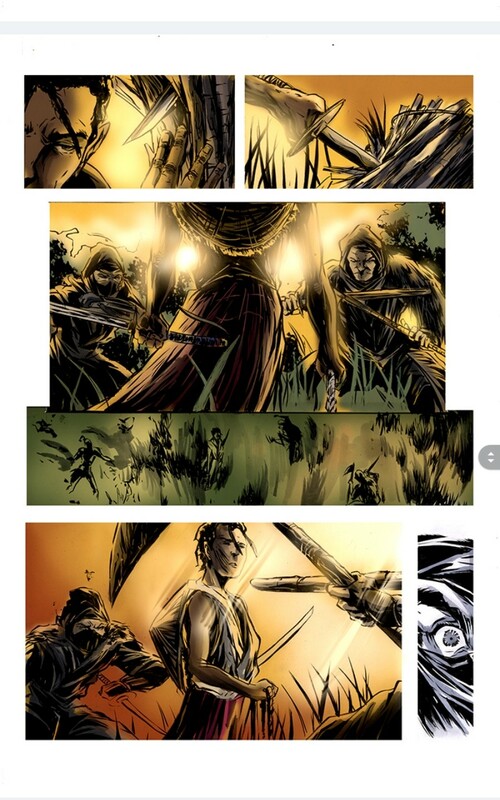 Chapter three titled The Pebble in the River opens with a vibrant page reminiscent of the previous book where as the story becomes darker so do the panels themselves. Philosophy continues to be a great setting as we learn of a great conspiracy taking place, what made this interesting was more the reason for the conspiracy. Bruce Lee famously philosophized about how water takes the shape of the object which holds it together. He further explains how it can be a great force of destruction. Here we see another philosophy of water in that sense, water cannot be held back long even by rocks, its force will eventually whither them away until they become pebbles. 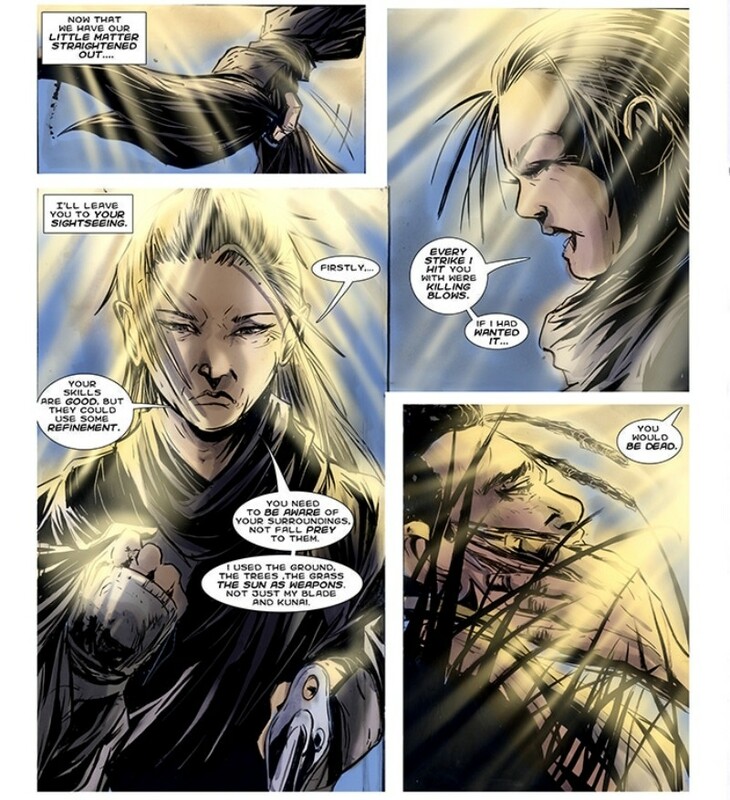 Chapter four, The Roots that Hold the Mountain advance the plot in one of the best ways possible, and one that has been ignored by mainstream comics for many years. 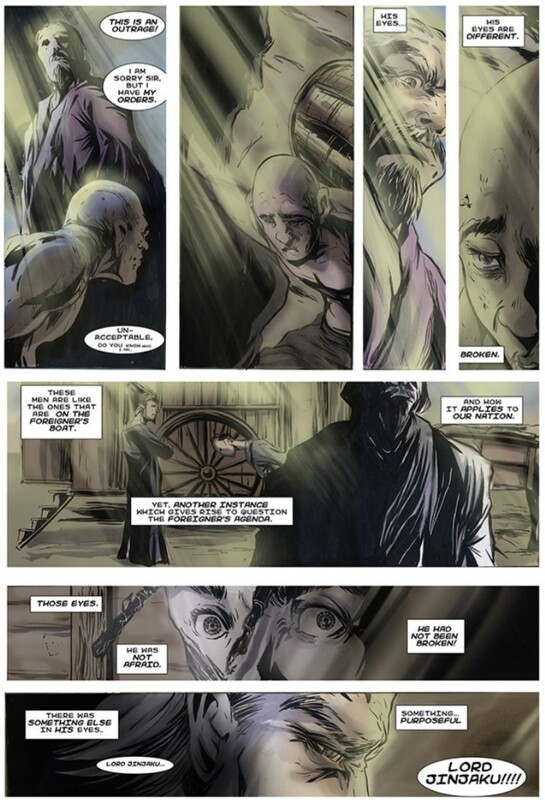 The author has created a large amount of tension that instead of culminating in one action scene continues to add to the overall tension of the story. While the story so far has relied heavily on the actions of a few people, in this chapter the endgame is on full display. A cinematographic comparison I will freely make is like the baptism scene from The Godfather. 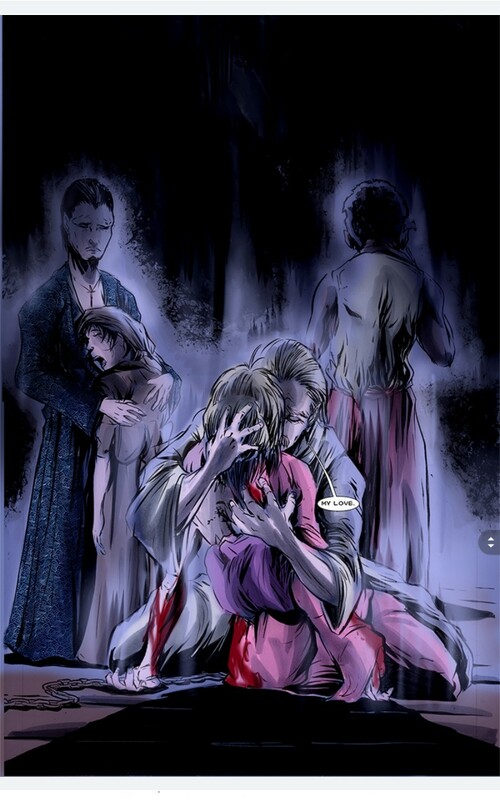 This chapter displays some of the best artwork in the entire series, and while this image will be a spoiler, it captures the raw emotion of the entire book in one single image. The use of colors and shadows draw you into the story before ultimately breaking your heart just as quick. 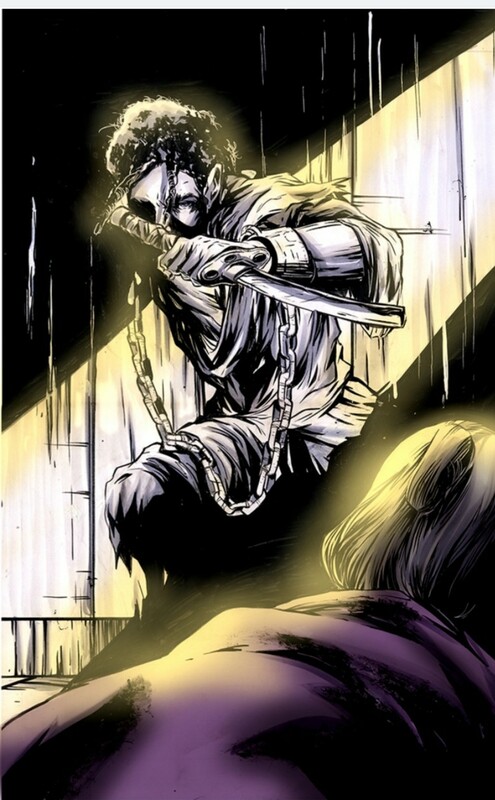 The last chapter of this novel, The New Sun Sets concludes this part of the story where the Black Samurai takes up the role as the a man who is destined to fight fate. The pacing of the story in this chapter leaves the reader with a sense of completion, while once again leaving a wide open cliffhanger that will compel readers to pick up the next issue. Overall, Legacy more than lives up to the great foundation laid out in the first book. The story reaches its climax while creating a second one for a long story. I give this second part of the trilogy a 4.5 out of 5, it is a great representation and combination of American comic story telling with traditional manga narrative. Absolutely recommend any reader interested in action and martial art philosophies to check this book out. Please read my review of the third and final installment in this truly outstanding graphic novel series.